Emoji Quiz: Can You Guess These London Locations? 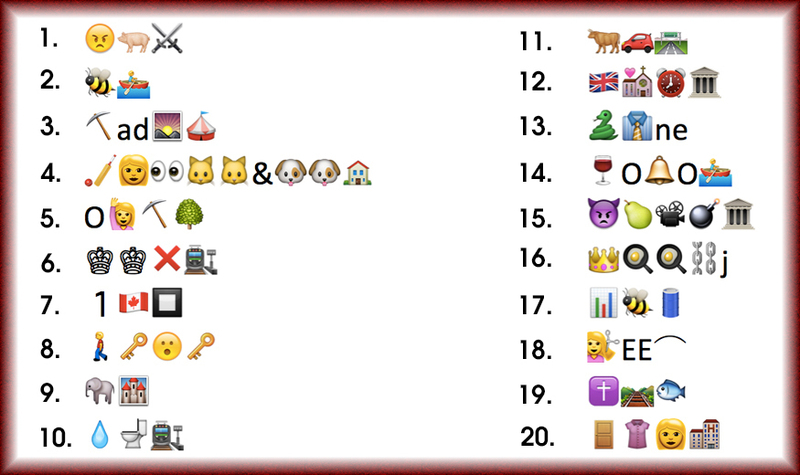 M@ Emoji Quiz: Can You Guess These London Locations? 20 London landmarks and street names have been rendered in emoji. Can you work them all out? If you enjoy this puzzle, see our other emoji quiz tackling different areas of London.